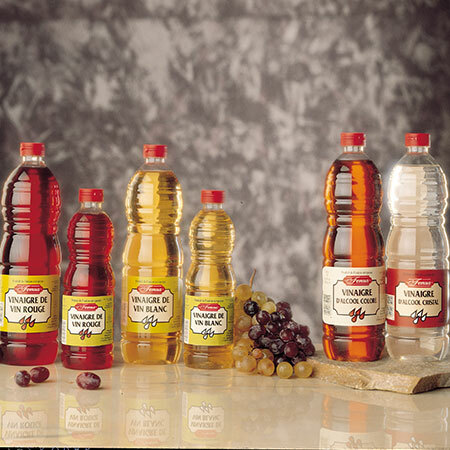 Riojavina presents a large range of vinegars with personality. 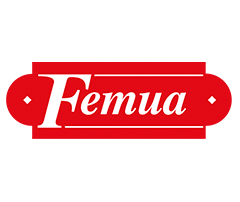 The Femua natural cider vinegar is the leader, based on its dietary qualities, for its high concentration of potassium, which allows it to be suitable for muscle disorders, nervous conditions and the regulation of sodium, and by its pleasant flavor that is reminiscent of the cider. Excellent for grilling fish or dressing salads. 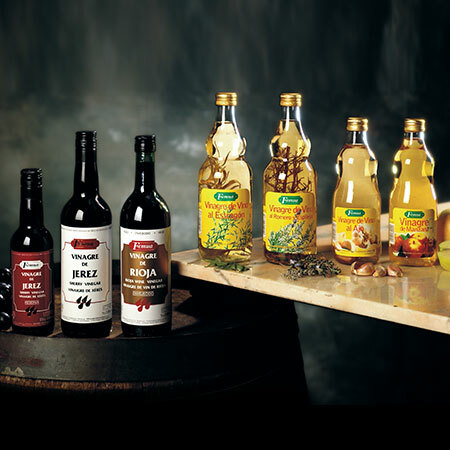 The Sherry, Reserve Sherry and La Rioja vinegars , made with the best wines, are suitable for salads, meat dishes, etc., while the Femua herb vinegars play with the different flavors enable the chef to create intriguing dishes. Without chemicals, fertilizers or pesticides, the Organic Cider Vinegar with Sourdough starter is produced according to regional regulations and certified by the Organic Agriculture body of La Rioja, – it’s unfiltered, without preservatives and 100% Natural.